Below is all the information we have about Ellen New. As far as we know, the information is correct. However, if you find any errors or have additional information, certificates or pictures, please contact us so that we can update this page. Thank you. From top of headstone:In Loving Memory of/ George New/ who died July 2nd. 1898/ aged 58 years./ "In the midst of Life we are in Death. "/ Also of Ellen, wife of the above/ who died Jan. 5th. 1900/ aged 64 years./ "Thy will be done." 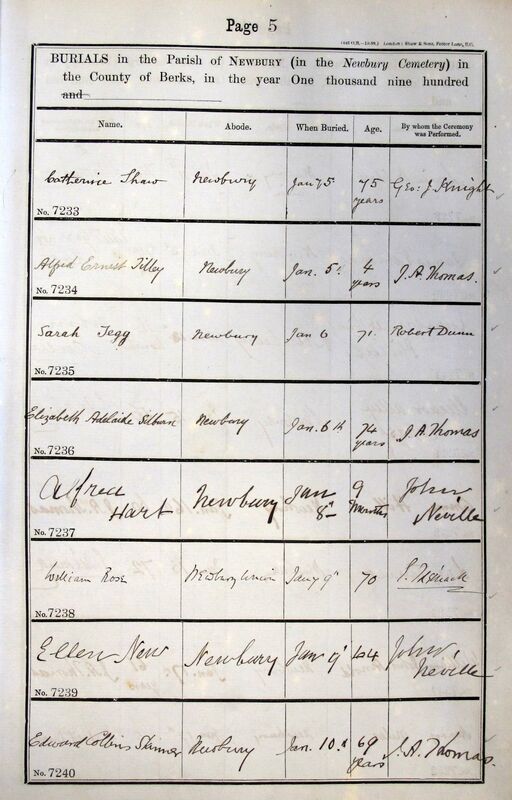 NEW– Jan 5, at 6 Southampton-terrace, Newbury, Ellen, widow of George New, aged 64 years.